Ford Motor Company has spent the last year pilot testing a cutting-edge piece of Microsoft hardware to speed up the process of designing new cars and trucks, and to unlock more potential for sharing and collaborating in real time. The hardware – a powerful “mixed reality” headset called “HoloLens” – is now ready to be deployed by Ford design teams across the globe and made an official part of the automaker’s validation process. “Mixed reality” is a technology that creates a hybridized reality by combining objects real and virtual, where things from both realms can interact in real time. If that sounds a bit too sci-fi, let’s break it down. Mixed reality is composed of two parts: “augmented reality”, and something called “augmented virtuality”. Augmented reality you may already be familiar with if you’ve ever played Pokemon Go; it’s a technology that superimposes computer-rendered objects over real-world visuals, creating a composite view for the user. Augmented virtuality takes that composite view a step further, allowing real-world objects to be incorporated into the virtual world. For our purposes, you can feel free to think of it as “augmented reality-plus”. 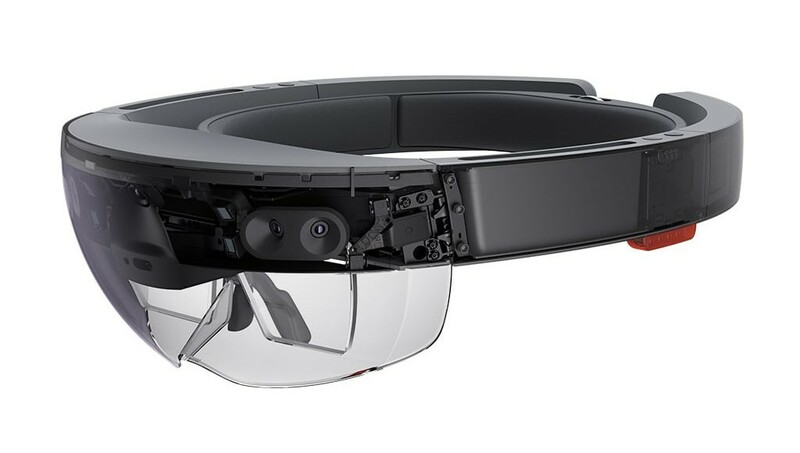 Microsoft’s HoloLens mixed reality hardware is a headset that suspends a pair of transparent display screens in front of the user’s eyes, onto which virtual objects are rendered in 3D. A pair of speakers sits above the ears for audio integration, and the headset is capable of precise head tracking and gesture recognition using integrated cameras and other sensors. Best of all, it’s truly portable, with all the necessary computing being performed by the headset (powered by Windows 10), and no external cables or sensors required. Imagine a world where automakers don’t need to use the antiquated method of modeling designs in clay to feel out their ideas. Ford isn’t there yet; no big automaker is. But Microsoft’s HoloLens mixed reality headset performs a similar function to clay models, allowing Ford to explore different design features from a “customer perspective,” within a real-world space. New car fascias can be modeled using computer software, and then mapped onto an existing vehicle or clay model; different versions can be drafted, and scrolled through and reviewed by multiple team members. In a press release, Ford uses the example of grille designs; where today, it can take days or weeks to study one, HoloLens allows designers and engineers to experience a number of iterations in mere hours. It’s not just exterior features, either; entire vehicle interiors can be rendered and explored to ensure proper ergonomics and visibility. And with the magic of the world wide web, a designer in North America can sit in the drivers seat of the virtual cockpit joined by a colleague in Australia, India, or elsewhere around the globe in the passengers seat; designers and engineers across the globe can all study the same design together, in real-time. In actual fact, Ford has been using some form of augmented or mixed reality in product development for some time. Since 2014, “immersive” reviews of production vehicles using similar technology have been a requirement any time the automaker was preparing a change the customer could see. A decade prior, in 2004, Ford Virtual Reality and Advanced Visualization Tech Specialist Elizabeth Baron says the automaker conducted virtual testing of the first-generation Ford GT supercar using whatever comparatively crude hardware and software were available. That system used magnetic tracking, meaning that when Ford constructed a cockpit for driving simulation, they couldn’t use any ferrous material. So, they had it built out of mahogany.